StonePly’s lightweight natural stone panels that are made using granite and other opaque stones are often bonded to an ultra-strong and durable aluminum honeycomb matrix. When natural stone panels are made using translucent stones such as marble, however, the best way to showcase them is to let light shine through. In these situations, StonePly’s translucent backing option is often the ideal choice. 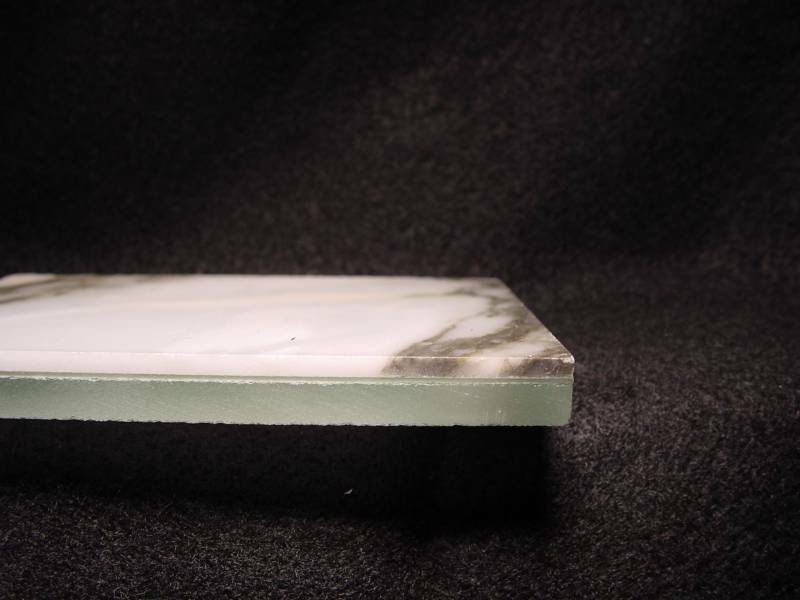 StonePly’s professionals require just three things to craft gorgeous translucent marble stone panels: a thin layer of marble, epoxy, and glass. Placing translucent marble on glass gives what would otherwise be an extremely fragile sheet of marble strength and stability. Because the glass is also translucent, it does not significantly hinder the stone’s light-transmitting properties. *If you don’t see exactly what you’re looking for in our exquisite collection of natural marble, contact us. We have relationships with stone suppliers in the United States and around the world, and we’ll make every effort to source the marble you need for your project. The StonePly website not only showcases our hundreds of featured stone options, but also contains specifications and a complete overview of our consulting services. If you are currently searching for lightweight natural stone panels that are strong, gorgeous, and simple to install, we would appreciate the opportunity to tell you more about our innovative product during a free initial consultation. We’ll also give you a personalized estimate absolutely free of charge. Call us at 903-454-4630 or fill out the contact form on our site to get started.